Was sick recently and I had to have my Iftar alone as my other family members went to Klang. 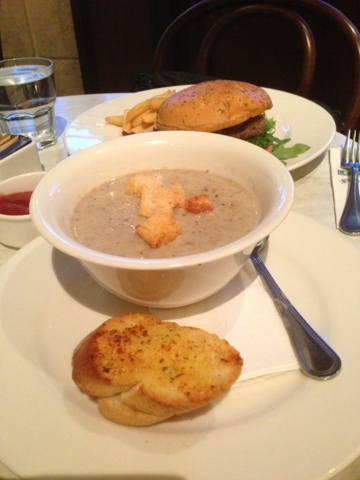 Mushroom soup. Let me tell you that I seldom finish my soup if it's given to me as a starter but since I had a very bad sore throat, I actually finished my soup. 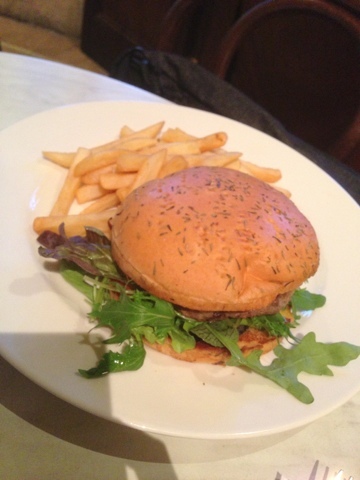 I had the beef burger from Dome. I purposely asked them not to include any tomatoes but look at all those greens... Not a fan!